The Taiwan ICDF (International Cooperation and Development Fund) places emphasis on international education and training. In addition, this organization recognizes the importance of education as a critical mechanism for training workforces in developing countries. 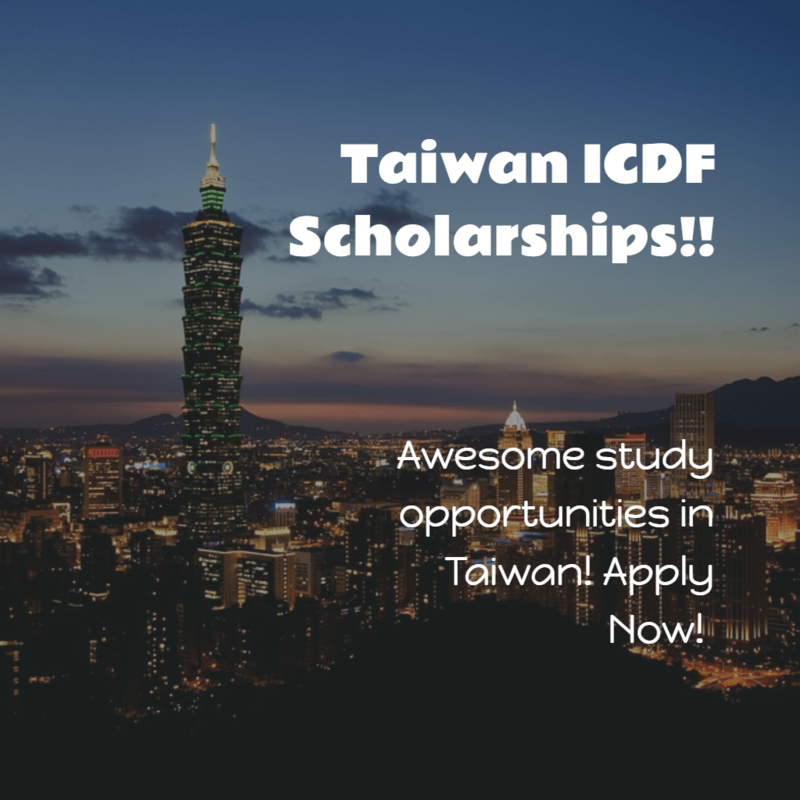 The Taiwan ICDF provides scholarships for higher education – undergraduate, graduate and PhD programs. This organization has developed these programs in partnerships with renowned partner universities in Taiwan. Submit your application to the ROC (Taiwan) embassy/consulate general or representative office in your home country. This office will then conduct a first review of all applicants based on eligibly requirements and selection criteria.